"The coloratura soprano of Jana Šrejma Kačírková that possesses silvery lightness, agility and flexibility and yet is able to develop into dramatic sustaining power reaches the homogeneity with which Kačírková can cover the whole range of Anne Boleyn's part - extending from lower notes that have the richness of the mezzo-soprano tessitura to the third octave. Jana Šrejma Kačírková is a singer gifted with musicality, who knows what she is singing about. She has become the queen of the performance." Jana Šrejma Kačírková was born in České Budějovice and graduated from the Prague Conservatory in 2006. During her studies she won a number of awards at the International Antonín Dvořák Singing Competition in Karlovy Vary. In 2006 she became a guest of the National Moravia-Silesian Theater in Ostrava and since 2010 she has been a permanent member of the opera ensemble. Within this permanent engagement she performed as Violetta (La traviata), Mařenka (The Bartered Bride) and in the main roles of Donizetti’s operas Anna Bolena, Maria Stuarda and Roberto Devereux. Since 2016 she has become a permanent member of the National Theatre Brno, where she appears in the roles of Violetta (La traviata), Donna Anna (Don Giovanni), Micaela (Carmen) and will study the role of Countess Adèle in Rossini's opera Le Comte Ory. She is a permanent guest of the South Bohemian Theater in České Budějovice and the National Theatre in Brno. She made her guest appearance in F. X. Šalda Theatre in Liberec, J. K. Tyl Theatre in Pilsen and the National Theater in Prague, where she made her debut in 2010 in the role of Adina in L’elisir d’amore by G. Donizzeti. Since then she has been appearing there in the role of Konstanze (Die Entführung aus dem Serail), Susanna (Le nozze di Figaro), Terinka (The Jacobin) and Donna Anna (Don Giovanni). 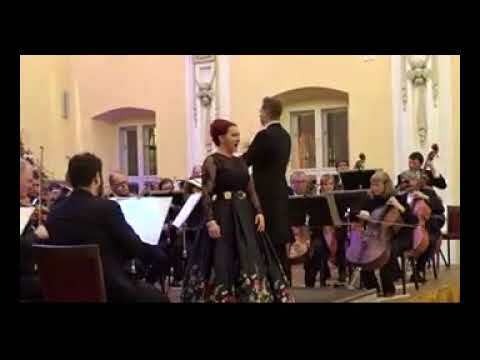 In 2015 she made her debut at the stage of the Slovak National Theatre in the role of Donna Anna and she performed as Rusalka at the Revolving theatre in Český Krumlov. Jana Šrejma Kačírková has made her appearance at prestigious international festivals such as the summer festival in Ercolano (Italy), the Teatro Politeama Greco in Lecce, the Pafos Afrodite Festival in Cyprus, the Prague Spring International Music Festival, International Opera Festival Smetana’s Litomyšl, Peter Dvorský International Music Festival and the IMF Český Krumlov, where she took part along with José Cura. She has been singing under the baton of many famous conductors such as T. Brauner, O. Dohnanyi, P. Gatto, M. Ivanovič, F. Haider, R. Jindra, J. Klecker, J. Kyzlink, T. Netopil, O. Olos, M. De Rose, A. Sangiorgi, A. Scarano, V. Spurný, D. Švec, F. Zigante and many others. She has been performing in productions of various directors - M. Corradi, P. Forman, P. Gábor, L. Golato, O. Havelka, J. Heřman, J. Kališová, P. Kartalov, L. Keprtová, I. Krejčí, J. Lauwers, J. Menzel, J. Nekvasil, P. Mikuláštík, C. Or, M. Otava, J. Průdek, L. Pugliese, I. Racek, D. Radok, S. Sandroni, R. Szymiková, The Theatre Group SKUTR (M. Kukučka & L. Trpišovský), L. Štros, A. Thorwald or M. Weisse. She has been twice awarded by the Thálie award – in 2012 (for her rendition of the role of Juliet from Romeo and Juliet by C. Gounod) and in 2013 (for her performance as Anna Bolena in Donizetti's opera of the same name). 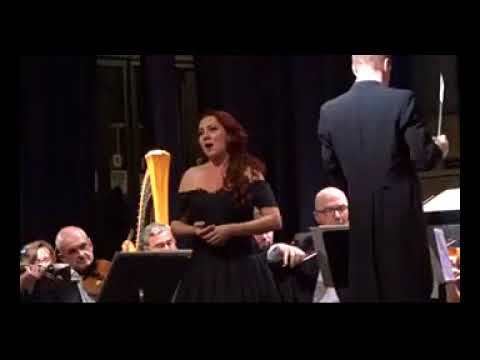 She has won three South Bohemian Thálie awards as well as the honorary “Libuška” prize at the Opera 2013 Festival for her extraordinary interpretation of the role of Gilda in Rigoletto by G. Verdi. In 2013 she was appreciated by Annual award of the Opera Plus magazine.